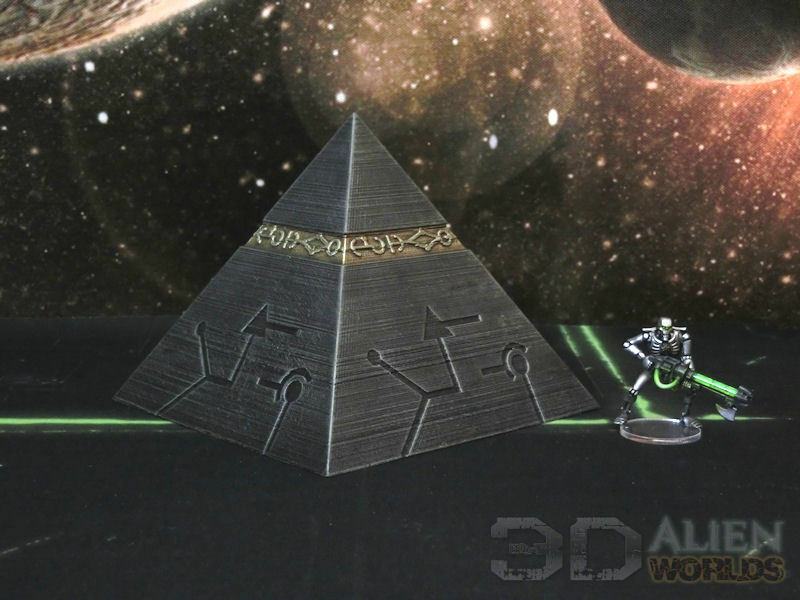 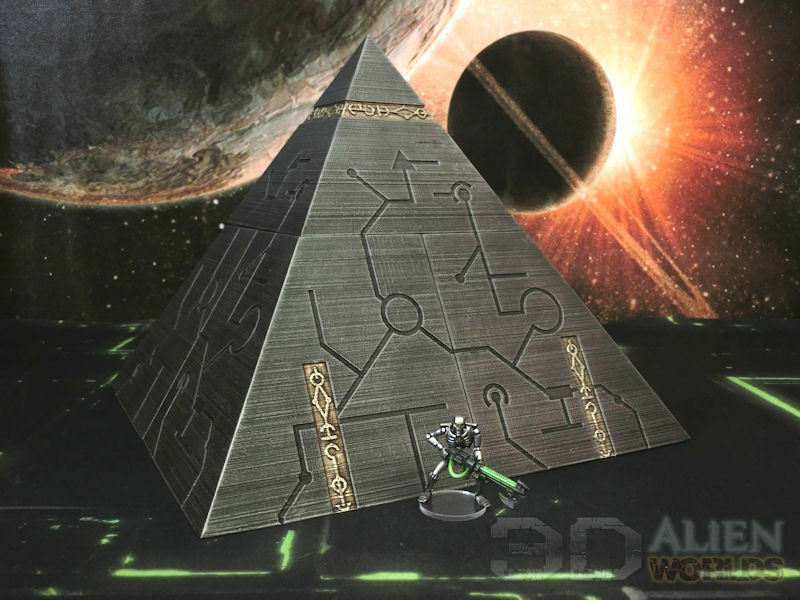 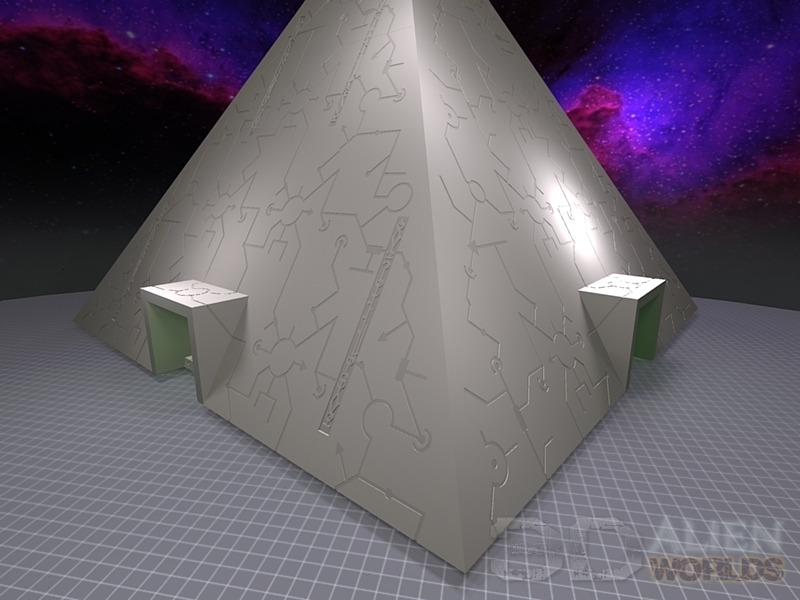 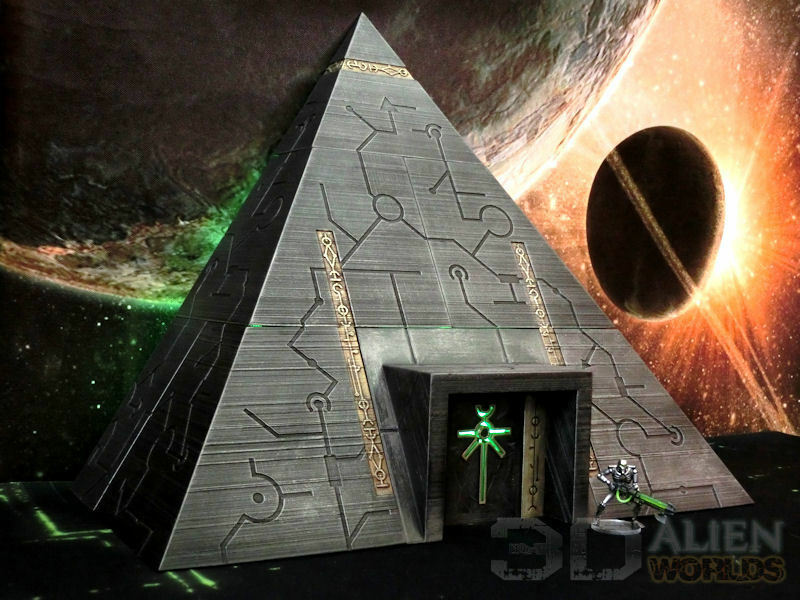 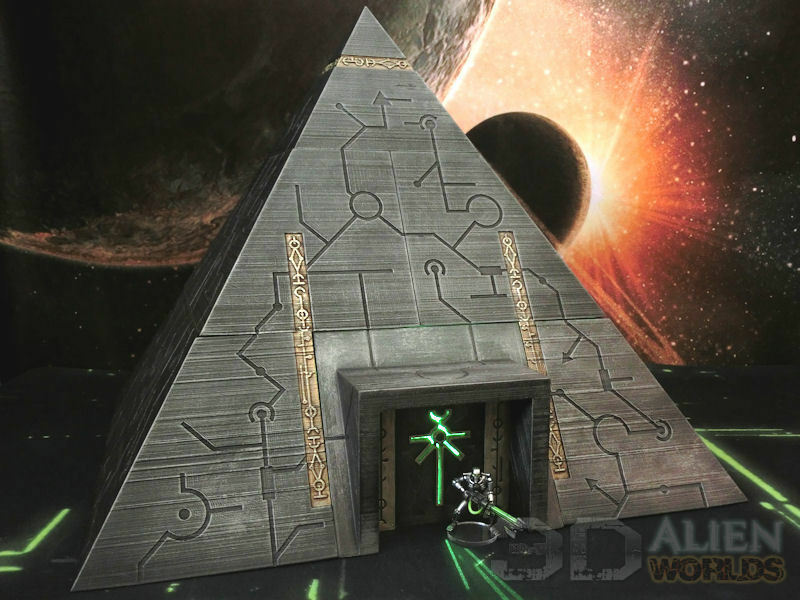 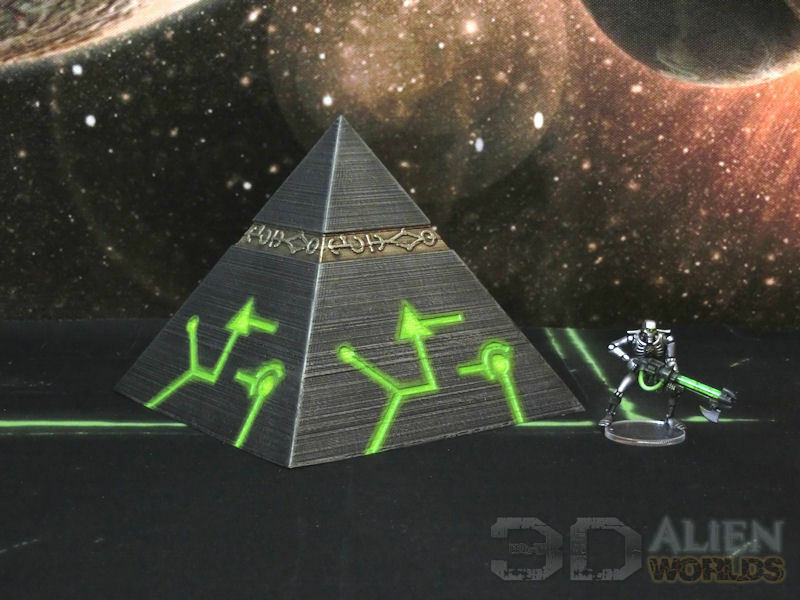 A large 29-piece modular set which can be combined to create a variety of Necron-inspired pyramids. 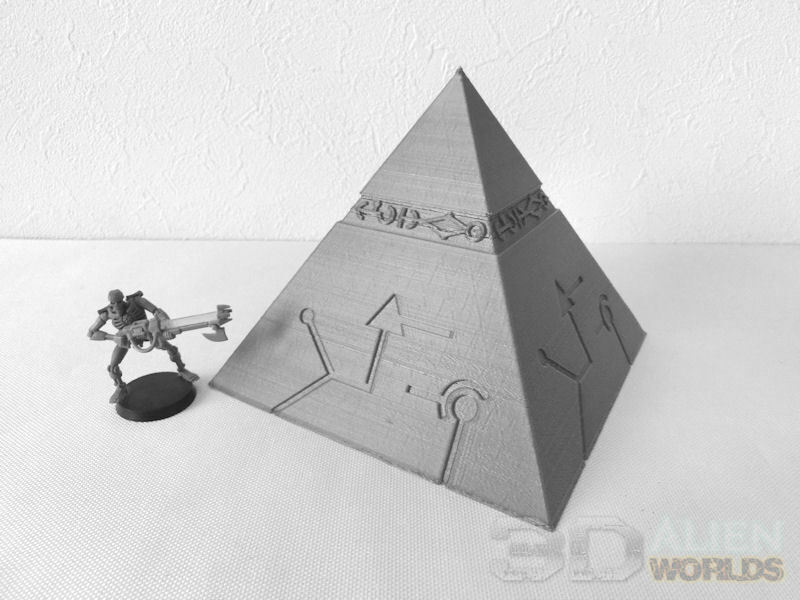 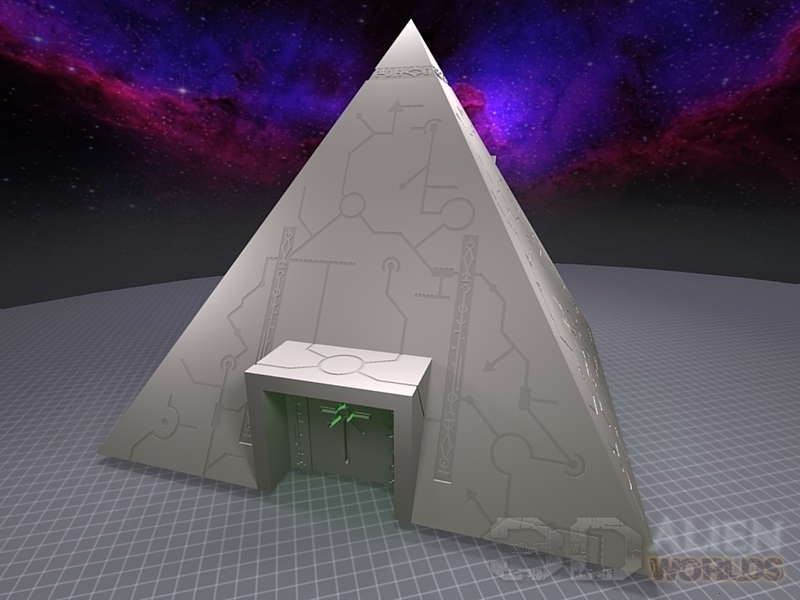 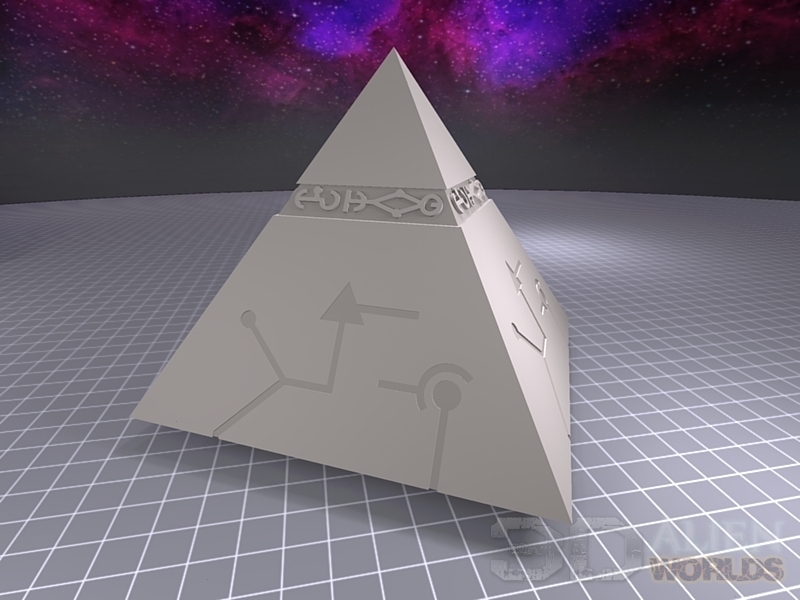 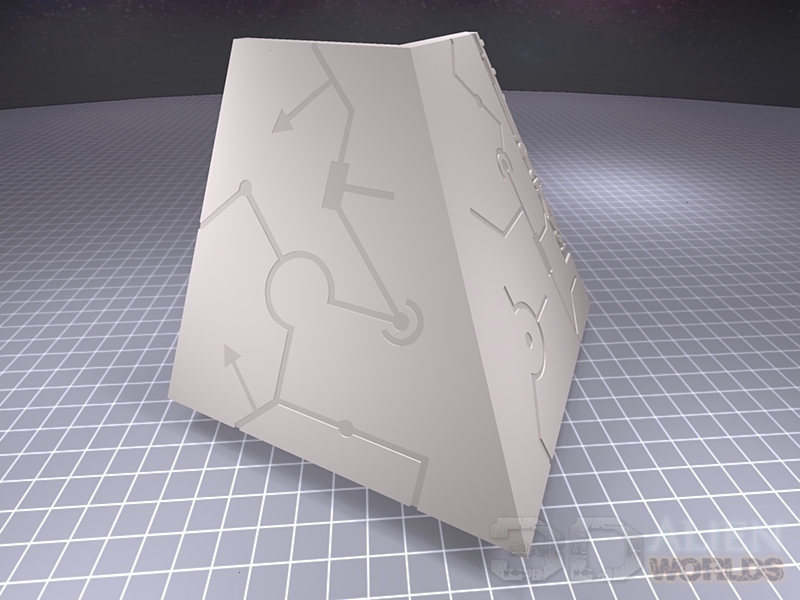 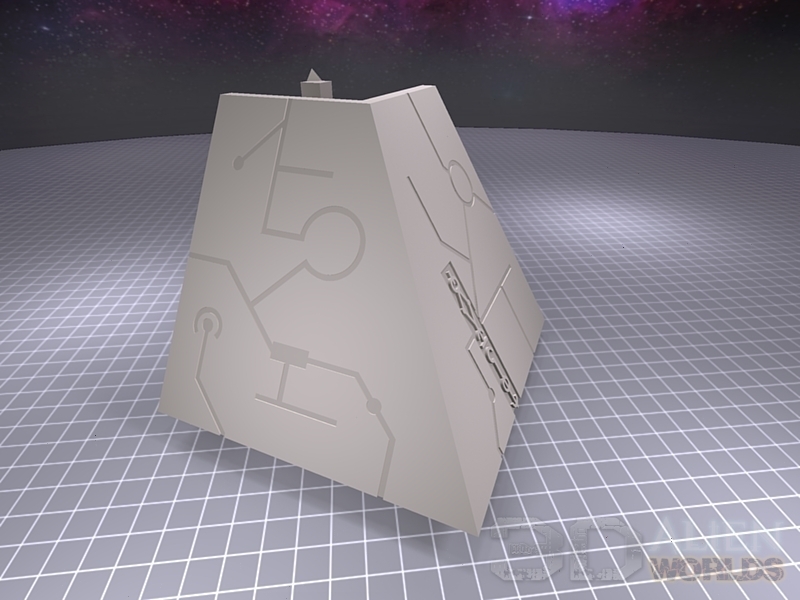 Each piece is approximately 100mm high, and can create 3 level pyramids with a table footprint of 360mm x 360mm (300mm tall), or even a massive 5 level mega-pyramid with a huge table footprint of 600mm x 600mm (500mm tall). 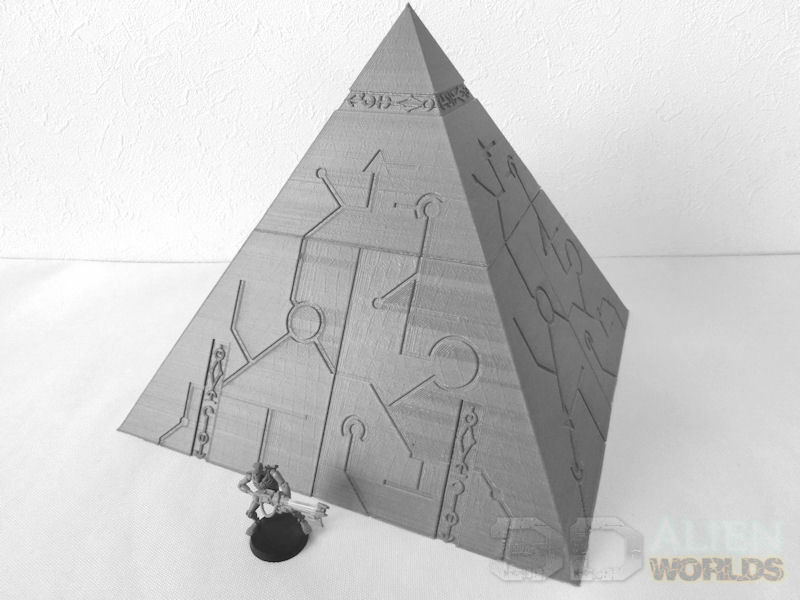 Many pieces can be interchanged to create a huge variety of pyramids to suit your tastes. 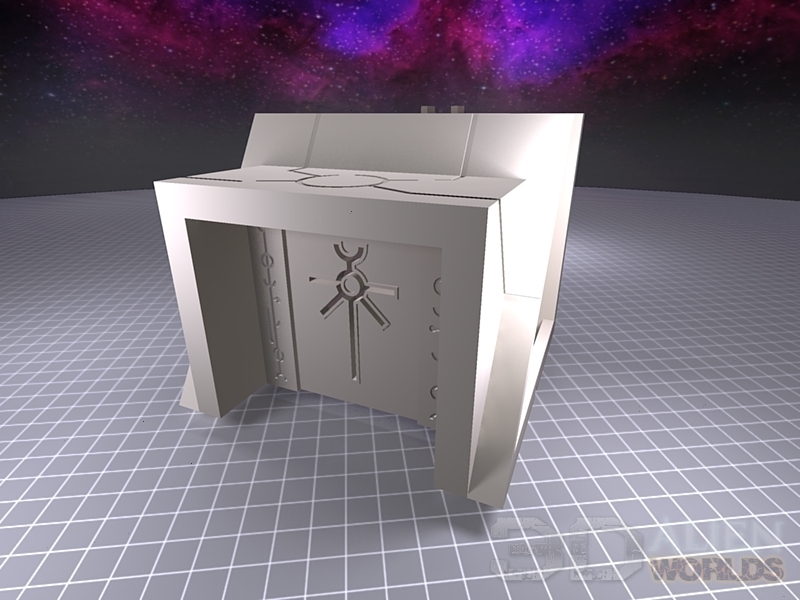 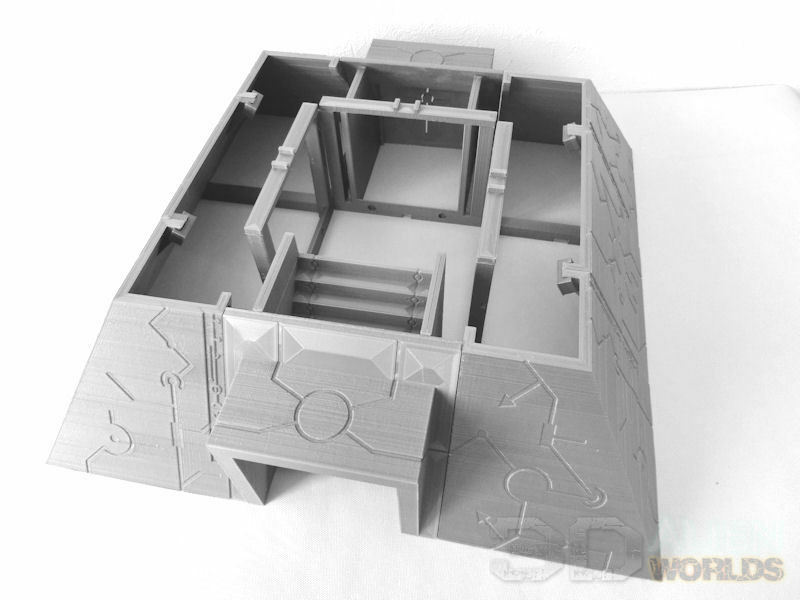 For added functionality, this set includes options for steps and two patterns of door, and also includes files for an internal dicetower tunnel (with removable exterior 'bucket') - throw your dice in the back, and they'll bounce out the front steps! 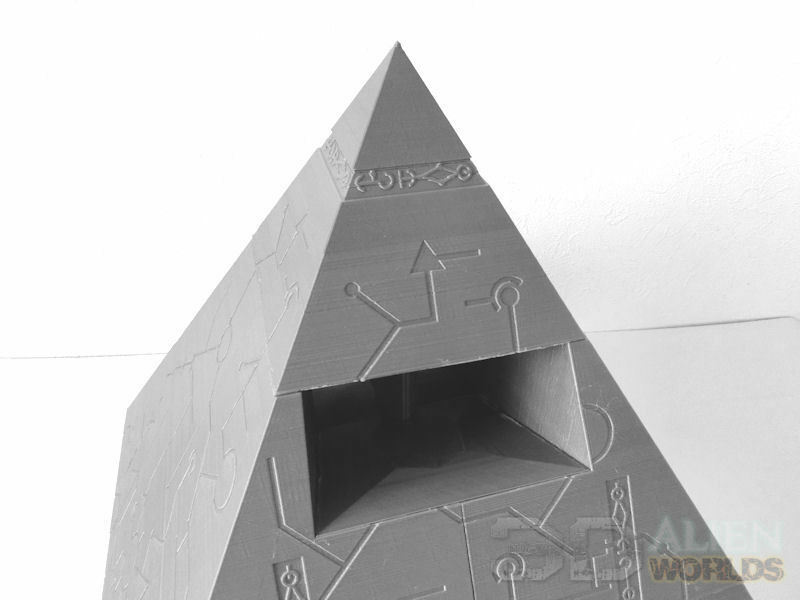 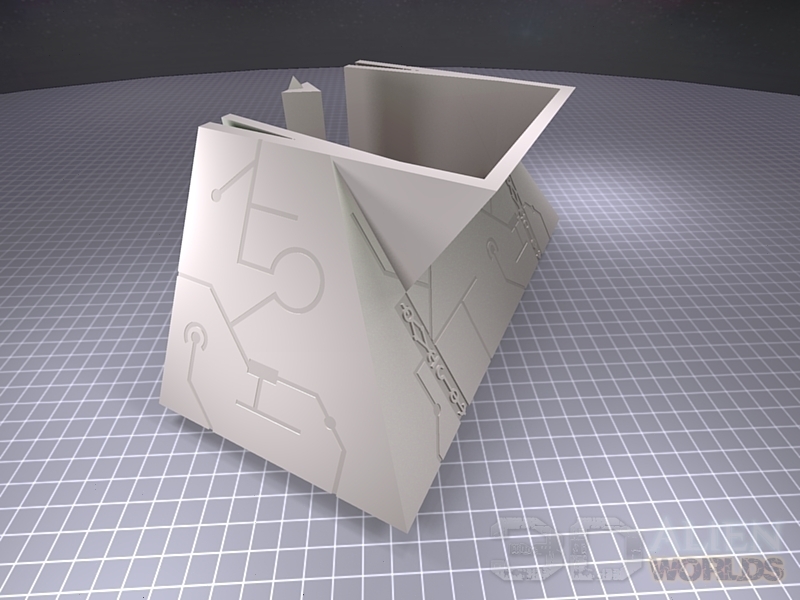 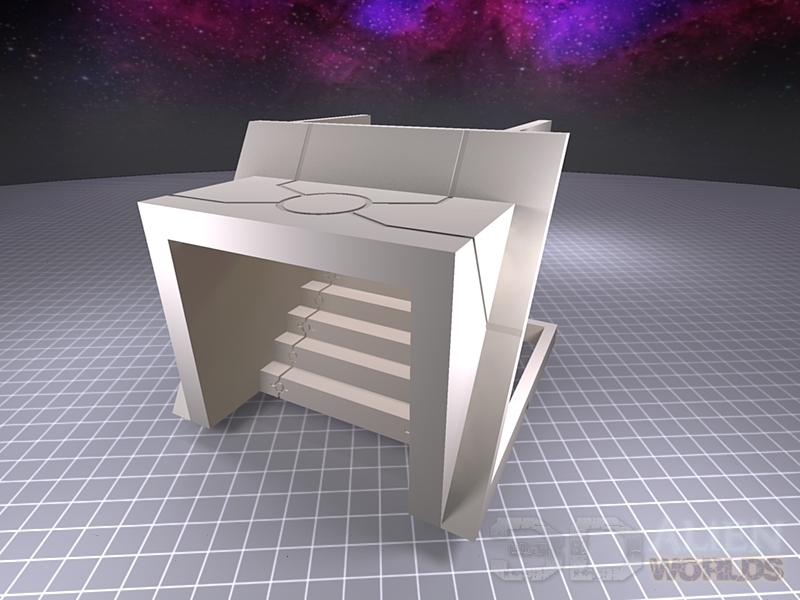 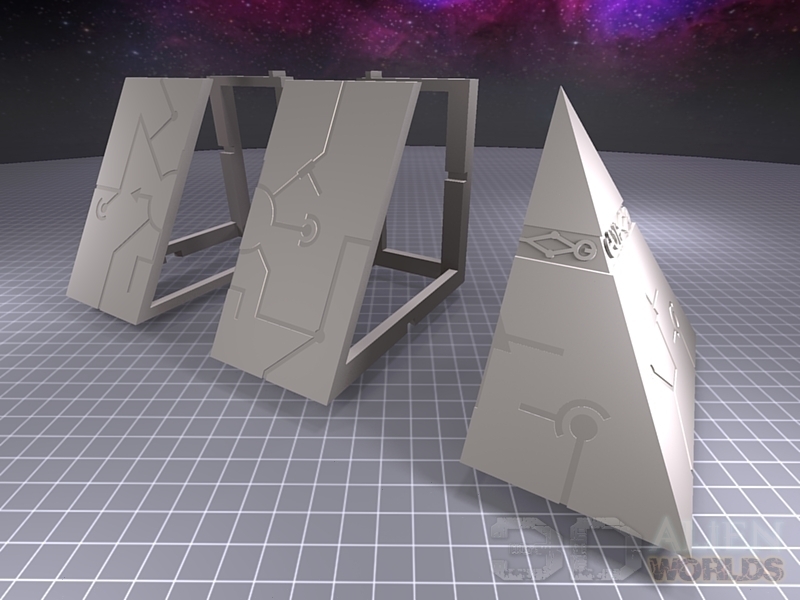 Half sections are also included in this set, so your half-pyramids can be placed flush with the table edges. 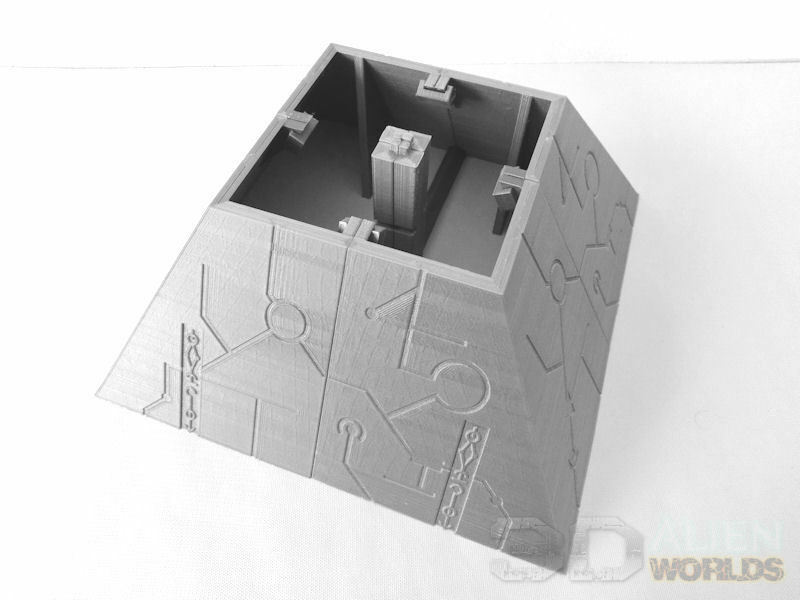 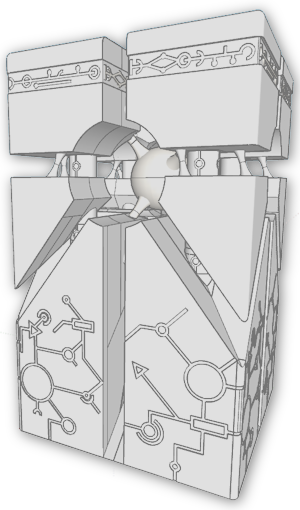 The modular pieces can be joined using the removable clips, or you can mount rare earth magnets (5mm x 1mm) in the recesses on the sides, for a super-fast fit. 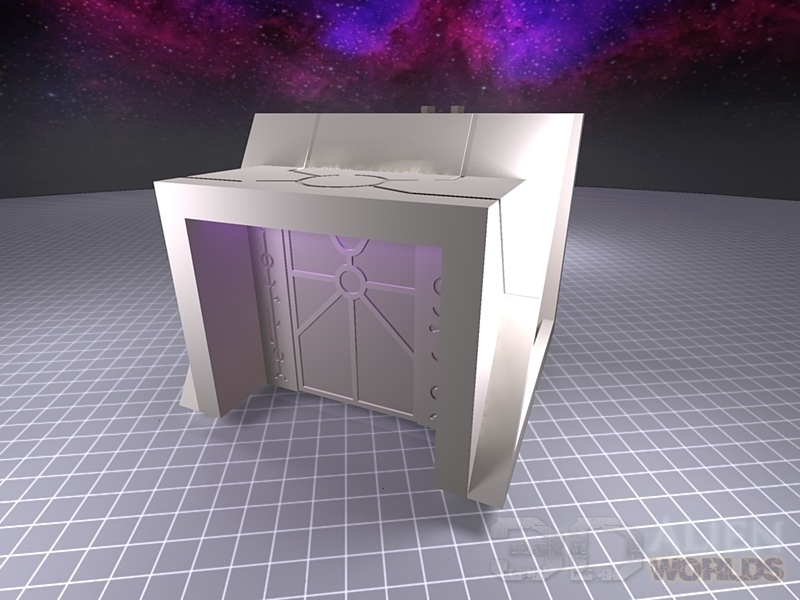 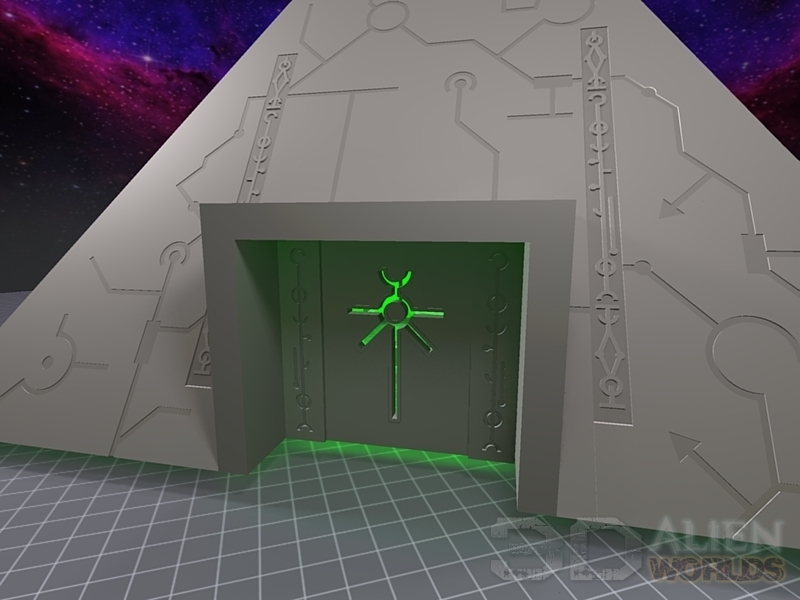 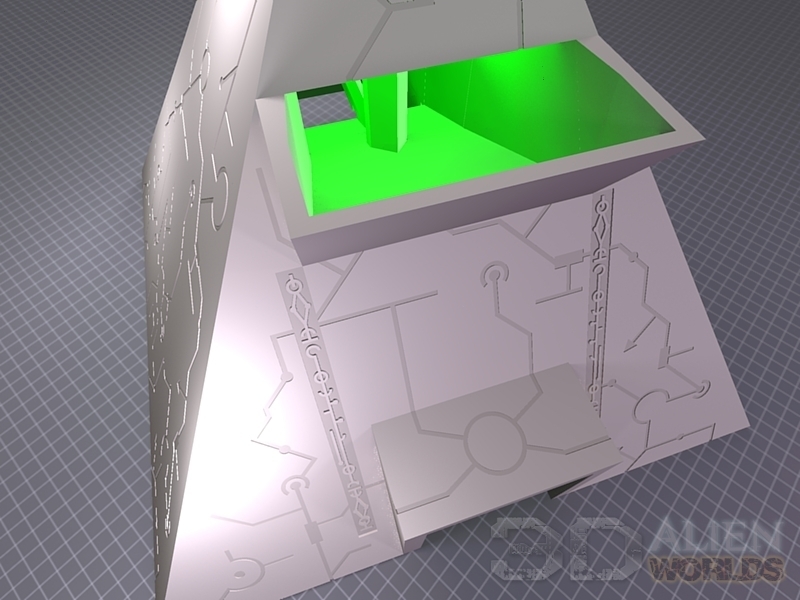 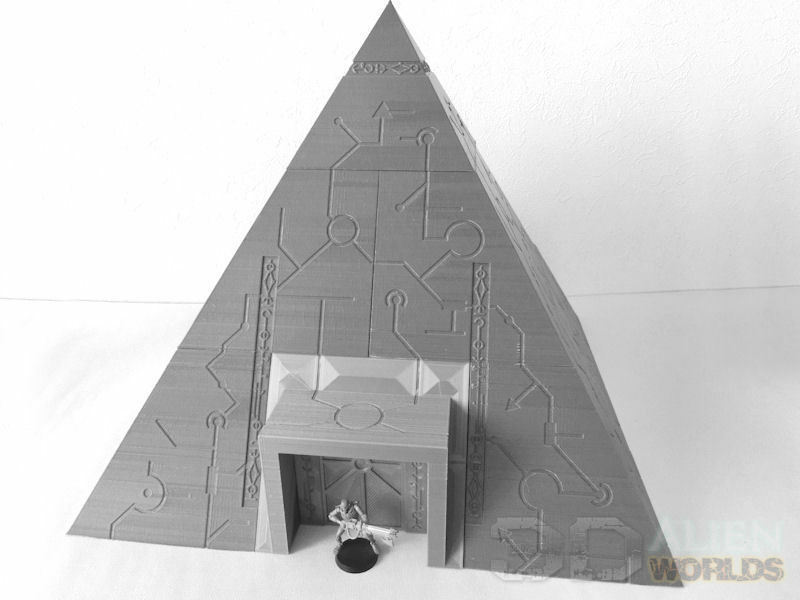 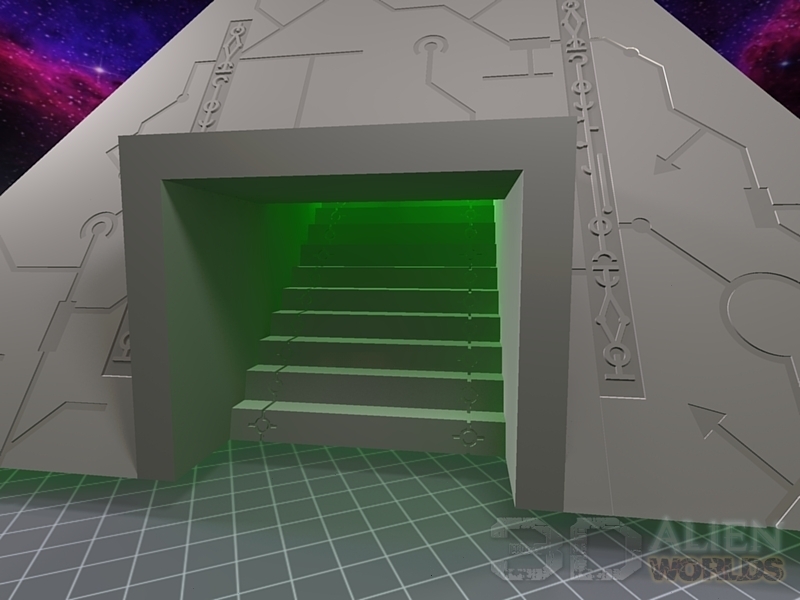 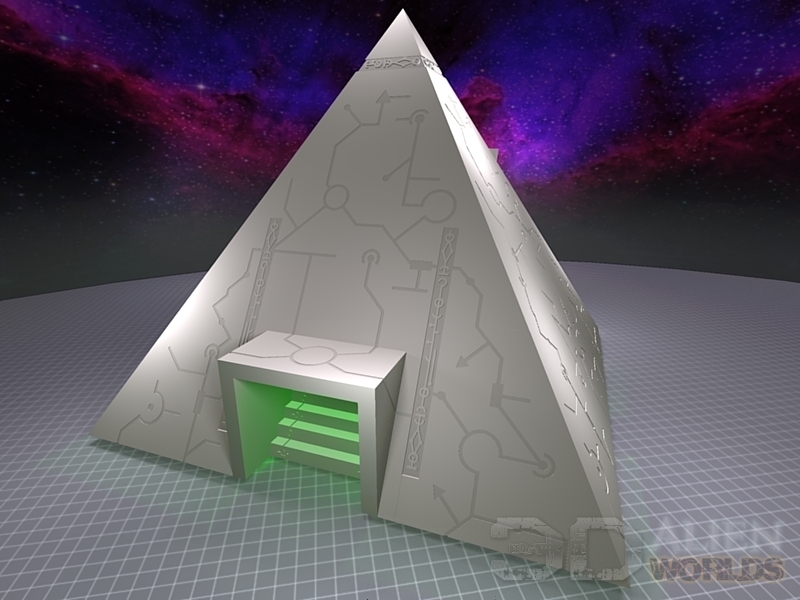 The interior can be illuminated with small LED tealights, producing an eery glow through the cut-out doorway symbol and down the steps/dice tunnel. 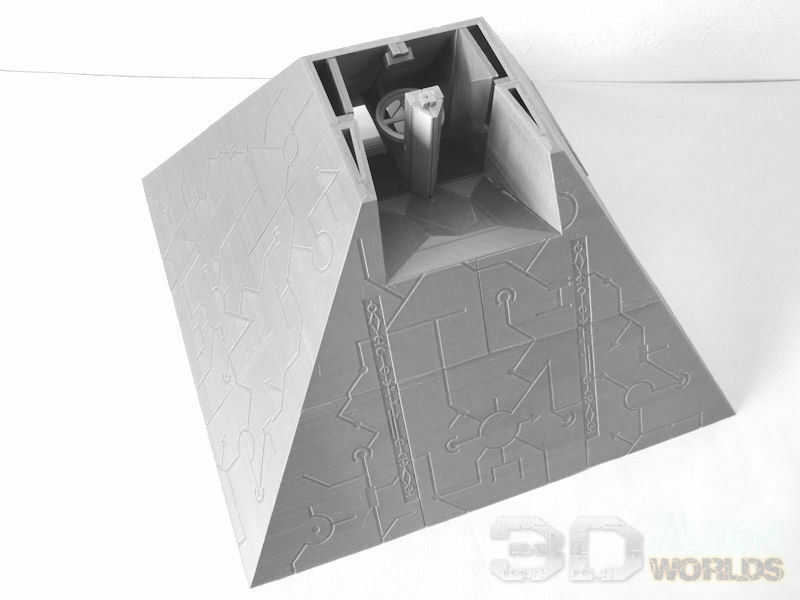 A light bracket is included, and can be slotted into the interior pillars. 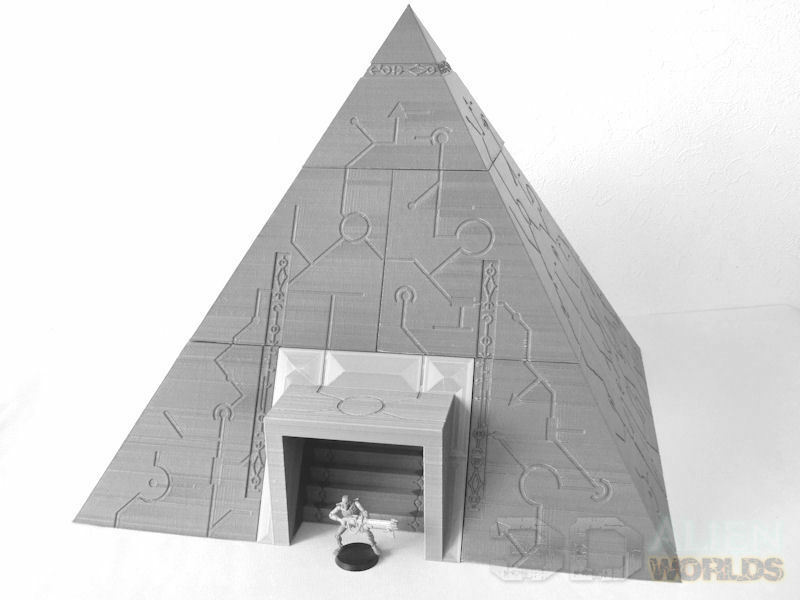 as a Licensee for these products i have to say they are all amazing, the attention to detail is simply a work of art. 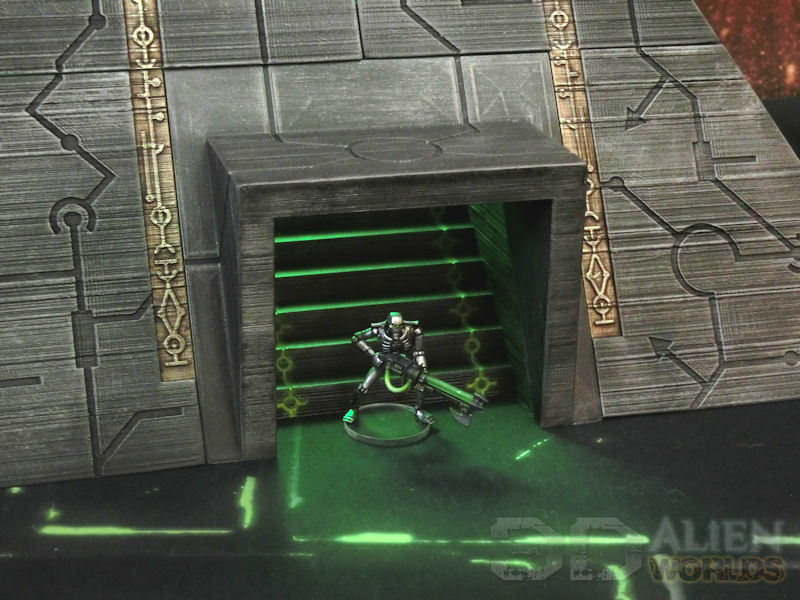 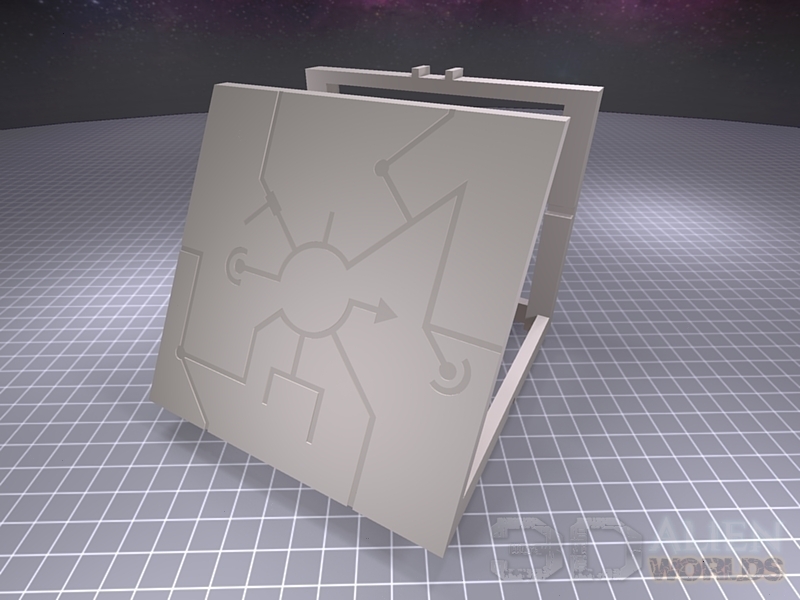 every terrain piece is scaled to each other making it easy to put together a whole table quickly. 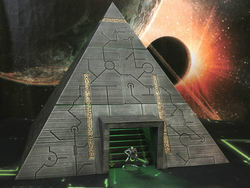 I highly recommend all of this terrain.